Located in the Maryland’s newest hotspot, MGM National Harbor, comes Felt, the ultimate cocktail lounge that offers mind-blowing artisanal cocktails, house-made mixers and craft beer. 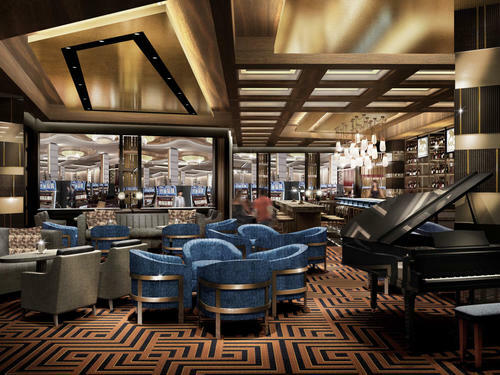 Along with attentive and skilled service, the imaginative concept will integrate live music and deejay- driven sounds, creating an atmosphere perfect for business meetings, a night out on the town, or for catching the big game on any of the venue’s oversized plasma TVs. Mixology from the minds of the most imaginative bartenders will take center stage; bartenders will be masters in their craft as they perfect beloved classics and of-the-moment cocktails from the seasonal cocktail menu. Fresh juices and garnishes will give the ultimate pop to every cocktail. From the inventive cocktails to the plush decor and intricate interior design, Felt’s attention to detail is second-to-none.